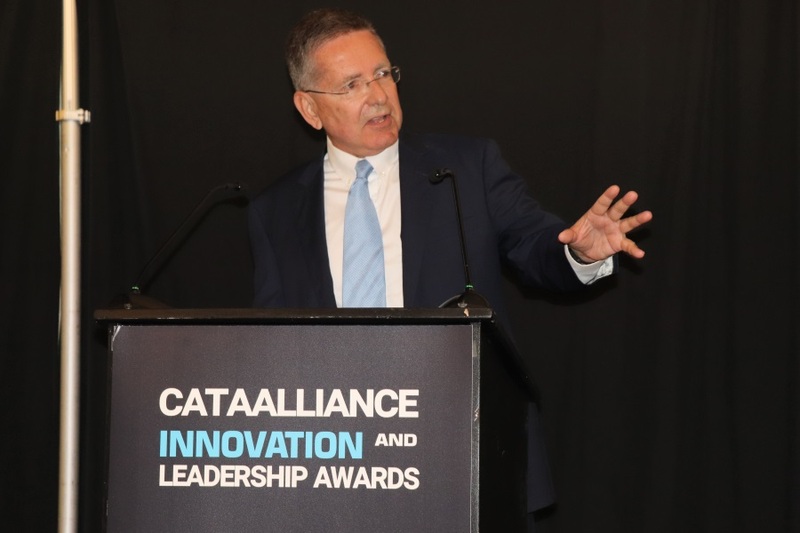 We’ve covered six of the Ottawa-based industry organization Canadian Advanced Technology Alliance (CATA)’s video interviews with the winners of its 33rd Annual Innovation and Leadership Awards (including one with ITBusiness.ca editor Eric Emin Wood), but the truth is all 16 one-minute clips deserve your attention, and this slideshow aims to rectify that. Read – or rather, watch – on for insights from business leaders hailing from Intuit Inc., MNP, the Telfer School of Management, and more! Offset Market Exchange (OMX) founder and CEO Nicole Verkindt (also interviewed by ITBusiness.ca about mentorship), who won the CATA Peter Brojde Award for Canada’s Next Generation Leadership, on being close to customers.